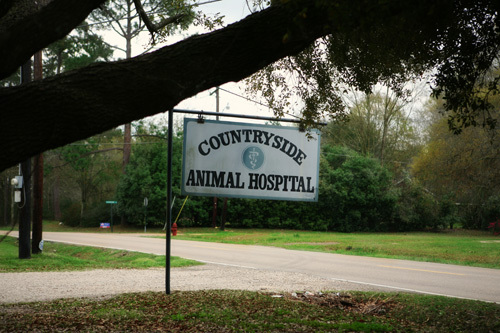 Countryside Animal Hospital is locally owned and operated by Dr. Ward C. "Pete" Pevey Jr., D.V.M. For 34 years our facility has offered old school techniques combined with new age technology. 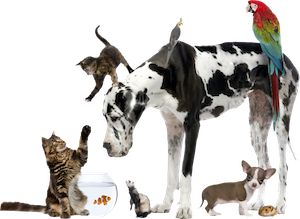 Our goal here at Countryside Animal Hospital is to provide a comfortable atmosphere for both patients and their owners alike. We give that hometown feeling with smiling faces and open arms to your four legged family members. We are one of the few places left that still offer Ear Crops for selected patients. Ear Crops and Declaws are done with our state of the art surgery laser. The use of the laser to do these two procedures is NOT optional. These two procedures will not be done any other way. We also offer Video-otoscopy, Cystoscopy (female only) and ear flush/suction via our Ear-I-Gator machine that allows us to treat really severe otic cases with mechanical flush and suction while under direct visual observation via the video-otoscope. These procedures are not available everywhere. 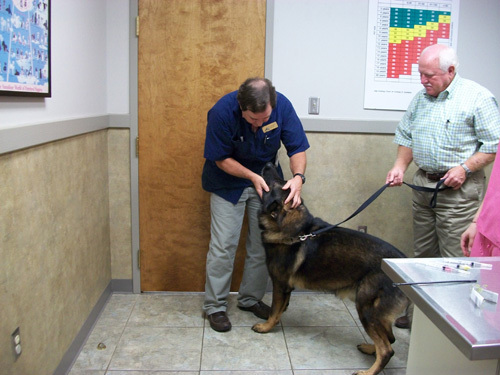 We also offer grooming, deep dental cleaning, radiographs as well as other in-house diagnostics. We have videoscops that enable us to do video-otoscopy(ear exam) as well as cystoscopy(bladder exam) and biopsy. Because these scopes are of the rigid type, we can only do cystoscopy on female dogs at this time. Along with the video-otoscope, we have an Ear-I-Gator machine that allows us to mechanically flush and suction ears while under direct visual observation via the videoscope. This is especially useful in those very severe or chronic ear cases. General anesthesia is required for these procedures. We are one of a few places left that do ear crops these days. Dr. Pevey has been doing ear crops for 34 years, and has at one time or another done most of the popular breeds such as Dobermans, Boxers, Pit Bull, Schnauzers, Great Danes and Cane Corso(Italian Mastiff). We will only do ear crops with the surgical laser and only after the patient has been examined/evaluated by Dr. Pevey and the client has been informed of what they may expect. This consultation is free of charge, but it is mandatory. If done with the surgical laser and with proper pain control, this procedure is as humane as any other elective procedure. However, every patient is not necessarily a good candidate for ear cropping, and every owner should not make the decision to crop ears unless they have given it much serious thought. Recommended age varies greatly depending on the patient, but for most breeds they should be done at 12 to 16 weeks of age. 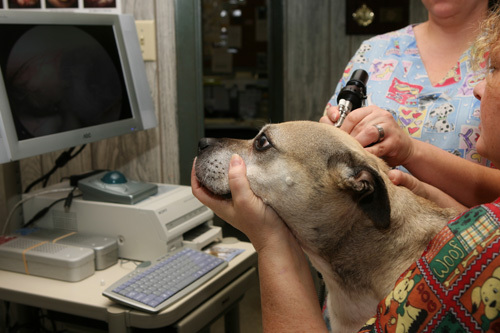 Laser surgery is a part of our new age technology used here at Countryside Animal Hospital. The laser, also known as "The Light Scalpel" replaces the traditional scalpel. The difference is amazing and very significant. It cauterizes the skin as it cuts, sealing nerve endings and small blood vessels as it moves thru the tissue. The end result is less bleeding and less pain at the incision sight. The use of the laser is optional in some procedures, but some procedures Dr. Pevey will not do without using the laser. It truly does make a significant difference in hemorrhage control and post-op pain. We highly recommend it be used where ever and when ever possible. Dr. Ward C. "Pete" Pevey Jr., D.V.M. was born and raised in the Amite area. After graduating from Amite High School in 1967, he attended Southeastern Louisiana University in Hammond, where he was a member of the football team. After 3 years at SLU, Dr. Pevey was accepted into Texas A&M's college of Veterinary Medicine at College Station, Texas where he graduated with the DVM degree in 1973. 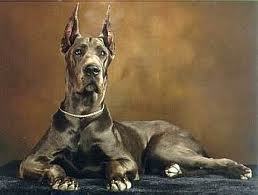 He returned to Hammond in 1977 to establish Countryside Animal Hospital. 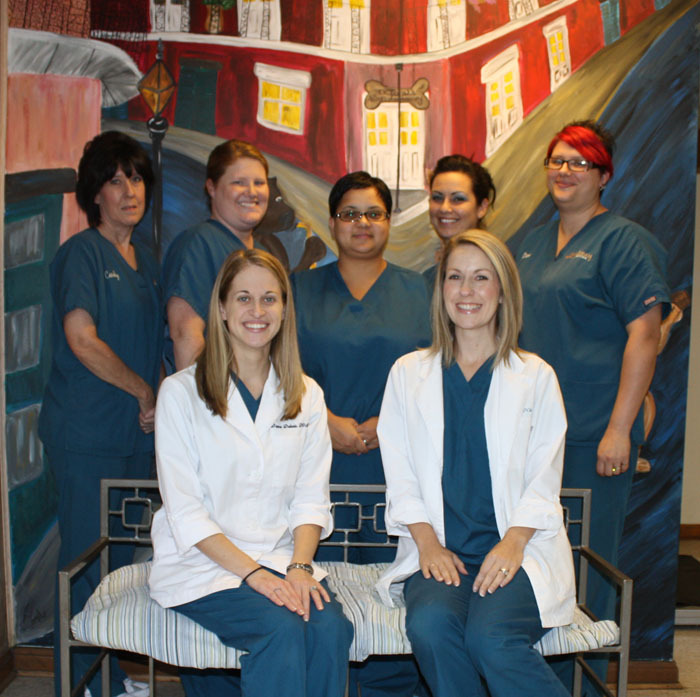 The staff at Countryside Animal Hospital. Stephanie Crawford Office Manager, Shannon "Shay" Ory, Stephanie Page, Shannon Albin Groomer.